UKC Event Advocates mentor clubs and give them personal assistance in setting up an event, sorting out entries, advising on how to organize the judges books, organizing results sent in to the UKC and much more. With the Event Advocates, club officers, club members, and participants all work and learn together. 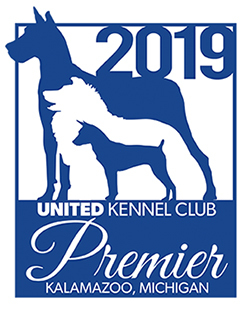 UKC Event Advocates are official representatives of the United Kennel Club. UKC assigns its Advocates to go to UKC events at no cost to the club. Look below for a current listing of Event Advocates, or jump to the bottom of the page for more UKC Event Advocate program FAQs. UKC has designed this program to be a resource to new and existing UKC clubs. UKC Event Advocates help clubs run smooth, efficient events. UKC clubs have consistently told us that an Event Manual was not enough to help clubs and volunteers learn everything they needed to know about how to run a UKC event. This is where the Advocate comes in. Advocates mentor clubs and give them personal assistance in setting up an event, sorting out entries, advising on how to organize the judges books, organizing results sent in to the UKC and much more. We have compiled a list of the most Frequently Asked Questions regarding this new program which we hope that you find helpful. If you have any more detailed or specific questions, please do not hesitate to email UKC Club staff. An informed club that can run a proper event is good for the club, the exhibitors and the UKC. UKC as an organization will be taking a more proactive role in communicating to clubs what proper procedures are and ensuring that those procedures are followed. The purpose of this program is to assist all UKC clubs in the correct procedures for holding UKC events. From the very beginning of hiring judges to filling out of the event reports that are sent in to UKC. The goal of the program is to hold consistent, organized, and family-friendly events no matter where they are held in the world. Our exhibitors should feel confident that when they come to a UKC show the atmosphere will be courteous and friendly and that the shows will start on time and will run smoothly. Many steps must be taken in order for the exhibitors to have a good experience. Clubs need to ensure that they have enough help, provide knowledgeable stewards to the judges and have Event Secretaries who can make sure that all judges books are completed and out at ringside at the start of the first show. It takes practice to run a good event and requires attention to detail. This is where the Advocate can help! UKC also recognizes that every club is unique in its own way. Every event has a slightly different flavor, like raffles, fun games, cookouts or costume contests. These are wonderful and we encourage all clubs to get creative and really make their event stand out! Unique is good, but the rules, procedures and paperwork processes must be adhered to and remain consistent from show to show. That eventually will be what defines UKC as an organization to the exhibitor. Are Event Advocates employees of the United Kennel Club? No. While they are official representatives of UKC, they are not employed by UKC. This is basically a volunteer position made up of dedicated individuals selected by UKC who are willing to devote their personal time to this program. Is there any cost to the club for an Advocate? NO, UKC will pick up all the Advocates expenses. The club is not responsible for anything, but we will ask the Club to send us the nearest airport and hotel to your show site. What are the duties of an Event Advocate? Event Advocates are being sent out to clubs to mentor and give clubs the opportunity to fully understand UKCs rules and procedures. The goal is to help clubs who have been frustrated in the past with what they need to do for UKC as well as to start clubs off on the right foot so that they know what is expected. This program is designed to give assistance to all clubs; Event Advocates are people who have extensive experience in holding large, efficient, well-organized events. They consistently submit event results with very few to no errors and know the intricacies of UKC rules. UKC requires them to attend educational seminars held by UKC to learn all aspects of this program and they are given additional training on some of the internal processes of UKC. They are dedicated to this program and will be able to help teach, guide, and make suggestions so that clubs will be able to hold efficient, well run events into the future. What information will the Event Advocate cover? Advocates are also there to help clubs handle the misconducts and disqualifications efficiently on the day of the event and making sure the club is aware of the UKC rules and regulations in regard to these aspects of holding events and they are there to see that the final paper work submitted to UKC is in the correct order. Will all Clubs get an Advocate? UKCs ultimate vision is that all clubs will be visited by an Event Advocate at least once, but this will most likely take a while due to limited resources and the limited number of approved Advocates we have at this time. If one is sent to your club, please be courteous and listen to what suggestions they have to offer. They are a resource that the club should utilize especially if it is a new club or if a club has had trouble putting on events in the past. Does this mean the Club is in trouble? No; the Advocate will be there to offer suggestions, give advice and answer questions about event procedures and UKC rules. Does the Advocate have any power? Yes, the Event Advocate is a UKC representative at your event. First and foremost, the Advocate is there to teach and help. However, if the Advocate notices a rule violation, he/she will step in and give assistance to the club in the appropriate manner per UKC rules and can recommend probationary procedures be implemented to UKC. Do we get to pick our own Advocate? UKC will pick the Advocate to send and the club will be notified. The Club will be given the contact information of the Advocate being sent so they can begin communication with them. Will the club get a notice from UKC that an Advocate is coming? Yes, UKC will send your club an email to the Secretary of the club or other designated contact person and a hard copy letter will be mailed. Does the Advocate make out a report? Does the club get to see it? Yes, the Advocate does make out a report. He/she will discuss it with your Event Chairperson at the end of the event weekend. Your club can request a copy of the report by emailing Show Operations.